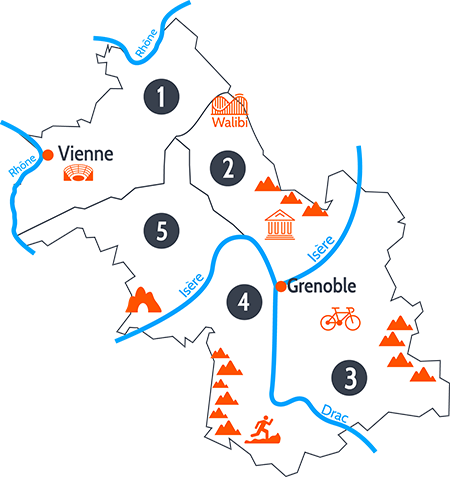 Campsites in Isère: a stay for all tastes! Still looking for a destination for your camping vacations? Do not hesitate : go camping in Isère will fully meet all your expectations! Our campgrounds have plenty of solutions for comfortable holidays suited to each tastes and preferences: good value campsites, 4-star campsites with swimming pool for an top-end stay.... 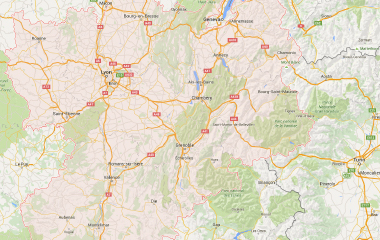 There is a pitch or a rental for everyone in the campsites of Isère ! Best refreshing and revitalizing holidays must be near the waterfront: on the riverside, by the lake or by a pool ! Choose your mobile-home, rental or unusual accommodation in a campsite with swimming pool or water park along the river Isere! In a green setting, between mountain and lake we bid you welcome ! Calm, shady, in the midst of the countryside, surrounded by orchard. Friendly, family environment with lots of activities and entertainment for children. Located between Grésivaudan and Chartreuse, Plateau des Petites Roches (alt. 1000m) can be compared to a natural balcony that offers unique panoramic views. Just relax and open your eyes: Vercors, Belledonne (Grandes Rousses glacier) and Mont-Blanc are at a stone’s throw. The Campsite is situated in the heart of the vercors natural park, on the banks of the river Bourne, in a marvellous natural landscape near the village of Choranche, at the foot of the Presles Mountains. It is an ideal location for active campers or nature lovers.